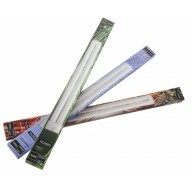 The CFL T5s grow lights sold in our store are competitively priced and provide lots of benefits. 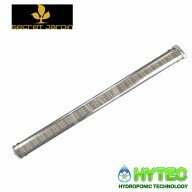 Highly efficient and cheap in price, these items will provide you with cool running temperatures and are ideal for use as a primary or supplementary light source depending on the growth stage and size of your plants. 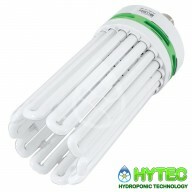 We sell CFL lights from Lumii, EnviroGro, Maxibright and other top providers. These items are a great choice if you’re just getting your feet wet in the world of gardening. 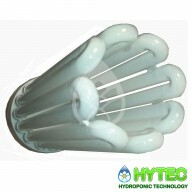 EMIITS VERY LITTLE HEAT ALLOWS CLOSE POSITIONING TO PLANTS COMPACT LIGHT WEIGHT DESIGN THREE TUBE OPTIONS ENERGY EFFICIENT LOW PURCHASE PRICE EASY CHANGE BULBS​​​​​​​ THIS BULB IS FOR BLOOMING-TCL55W-3800LU-2100K RED BLOOMING ..
EMIITS VERY LITTLE HEAT ALLOWS CLOSE POSITIONING TO PLANTS COMPACT LIGHT WEIGHT DESIGN THREE TUBE OPTIONS ENERGY EFFICIENT LOW PURCHASE PRICE EASY CHANGE BULBS​​​​​​​ THIS BULB IS FOR CUTTINGS TCL-55W-3800LU-9500K ..
EMIITS VERY LITTLE HEAT ALLOWS CLOSE POSITIONING TO PLANTS COMPACT LIGHT WEIGHT DESIGN THREE TUBE OPTIONS ENERGY EFFICIENT LOW PURCHASE PRICE EASY CHANGE BULBS​​​​​​​ THIS BULB IS GROWING-TCL55W-3800LU-6500K-GROWING ..
Spare/replacement Red/27k spectrum T5 tube. ..
Sylvania replacement lamp. 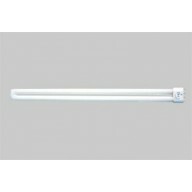 55 watt 2G11 fitting (4 pin) 4800 lumens 6400k spectrum A rated energy usage .. 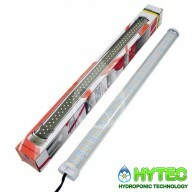 Here at Hytec Hydroponics we only stock the Market leading CFL's Comapct Fluorescent Lamps which are a great lighting option for Propagation and Germination of Seedlings or Cuttings or can be used to develop young plants. 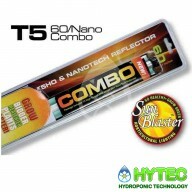 Sometimes CFLS are a great solution as supplementary lighting during the main ..
SunBlaster Nanotech T5 Propagation Light - 1ft 30cm 11w ​Sunblaster high light output, low temperature T5 strip lights offer a cost effective lighting product that can be used for the propagation and grow phases of cultivation. A great low cost propagation light kit. 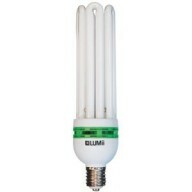 low energy and low h..
CFL 130w lUMII Envirogrow Lamps blue 6400k ​This range of self ballasted compact fluorescent lighting offer growers the choice of low energy growing when heat or cost is a concern. 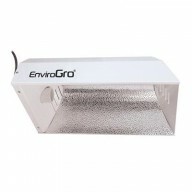 The EnviroGro CFL units feature ultra high output compact fluorescent lamps and are powere..
SunBlaster Nanotech T5 Propagation Light - 45cm 24w ​Sunblaster high light output, low temperature T5 strip lights offer a cost effective lighting product that can be used for the propagation and grow phases of cultivation. A great low cost propagation light kit. 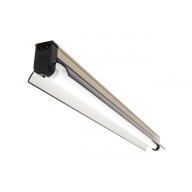 low energy and low heat ..
Root it T5 2ft 24W T5 lighting is the latest development in fluorescent technology that is revolutionising both the commercial strip lighting and now horticultural lighting world. 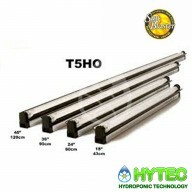 As well as being cheaper to buy, cheaper to replace and cheaper to run than traditional fluorescent tubes, the T..
SUNBLASTER NANOTECH T5 PROPAGATION LIGHT - 60CM 24W Sunblaster high light output, low temperature T5 strip lights offer a cost effective lighting product that can be used for the propagation and grow phases of cultivation. A great low cost propagation light kit. low energy and low heat f..
T5 lighting is the latest development in fluorescent technology that is revolutionising both the commercial strip lighting and now horticultural lighting world. 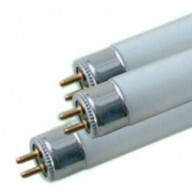 As well as being cheaper to buy, cheaper to replace and cheaper to run than traditional fluorescent tubes, the T5 High Output (T5HO) versio..
CFL 300W Watt Cool Blue 6400K ​This range of self ballasted compact fluorescent lighting offer growers the choice of low energy growing when heat or cost is a concern. The EnviroGro CFL units feature ultra high output compact fluorescent lamps and are powered by an integr..
Secret Jardin TLED - 26W LED Grow Lights - Blue The new 26w TLED by Secret Jardin are specifically designed for use in grow tents and come in 2 variations, one for growing (Blue Spectrum 6500K) The TLED 6500° Growing is for the vegetative phase of the pla..
​SECRET JARDIN TLED -26W RED LED LIGHT Secret Jardin LED 26w Bloom lamps are a low wattage LED alternative to HPS and fluorescent lighting systems. 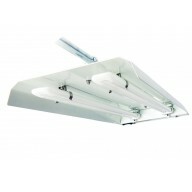 LED's can be hung vertically or horizontally with the included clips. Available in two variations, this is the red spectrum bloom version which is f..
EnviroGro CFL Lamp 250 Watts Blue The EnviroGro PRO CFL Reflector brings together all the benefits of a closed dual parabolic design with the energy saving qualities of compact fluorescent lighting. Supplied with 2m power lead and plug. It can be used horizontally or vertically and..
Powerplant Sunmate 110W Hydrogarden PowerPlant 110w Sun Mate Propagation lighting with cool white lamps. Low energy propogation grow lamp. 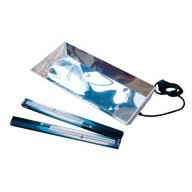 This highly reflective compact unit is made from mirrored aluminium to achieve maximum reflectivity. 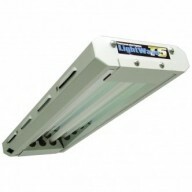 Comes boxed complete with power lead and hangin..
T5 2ft x 2 Lamp unit lightwave The T5 Lightwave range of grow light units are an ideal propagation light for small or large scale propagation. 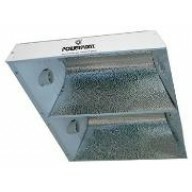 All units are supplied with Cool Blue lamps which are ideal for propagation and the vegative phase of plant growth, But add the Red lam..
SECRET JARDIN TLED - 42W LED GROW LIGHTS - BLUE The new 42w TLED by Secret Jardin are specifically designed for use in grow tents and come in 2 variations, one for growing (Blue Spectrum 6500K) The TLED 6500° Growing is for the vegetative phase of the plants. For the electr..
SECRET JARDIN TLED - 42W LED BLOOM LIGHTS - RED The new 42w TLED by Secret Jardin are specifically designed for use in grow tents and come in 2 variations, one for growing (Blue Spectrum 6500K) The TLED 2700° RED is for the blooming phase of the plants. For the electric..
Sun Mate Grow Twin Reflector Sun Mate Grow Twin Reflector ‘Two in one’ The Sun Mate Grow Twin is a brand new purpose built CFL reflector, designed to hold two compact fluorescent lamps! 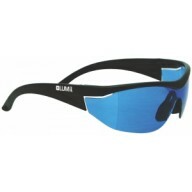 The Sun Mate Grow Twin Reflectors are highly reflective and closed end which can be used for larger propa..